In response to the contemporary challenge of multiculturality and the problem of what Martin Luther King Jr. once called “Sunday 11:00 am the most segregated hour in the US,” Grace Ji-Sun Kim and Jann Aldedge-Clanton wrote a timely needed book, which explores ways how to engage diversity and builds an intercultural Christian community. The book is divided into three parts with 15 essays by 15 pastors, theologians and teachers of different cultural and denominational backgrounds. Some are from African American backgrounds, while some are Asian American, Euro-American and Spanish American backgrounds. Part 1 sets forth theological foundations for intercultural churches and ministries. Parts 2 and 3 explore strategies for building intercultural churches and ministries and future possibilities of intercultural churches and ministries. The first essay discusses theological themes of invitation, relationship and courage as the grounds for building a “beloved community” out of hatred and violence. The second and third essays explore theological issues of racism and ethnic discrimination as sins and call upon the prophetic church to dismantle them. Especially the second essay defines race as God-made and racism as human-made. The prophetic task of the church is to embrace inter-racial ministry as an embodiment of God’s image and to resist racism as opposed against God’s justice. The fourth and fifth articles focus on multiculturality as God’s gift to the world. Multi-culturalism and multilingualism is crafted at Babel and is fulfilled at Pentecost. This calls for the ministry of reconciliation among different races (2Cor. 5:18-20). The fifth article regards the church as a community where people who have the memory of trauma of racism must find healing. In exploring the strategies for intercultural churches and ministries, the essays argue that creating multicultural forms of worship styles, embracing different cultures, giving equal leadership to each and meeting diverse people’s need are imperative. Opening church and pluralistic ministry are two main strategies of interculturalism. Opening church does not simply mean “the open door church” (89). Rather it means opening generous hands and compassionate hearts by embracing the other as the other and pluralizing their otherness as the gift for glorying God who affirms plurality. Instead of homogenizing the otherness through the lens of sameness, we must pluralize otherness or diversity as the source for intercultural churches through the lens of multiculturality. The essays in the final part emphasize the prospects of intercultural churches and ministries. In the midst of challenges and despairs, all the contributors are hopeful about the prospects of creating intercultural churches and ministries in the US not only because God designs and destines the church to be the intercultural body of Christ with many cultures and gifts (Eph. 4:4-5; Rev. 7:9), but also because God is with those struggling for envisioning the intercultural church as the image of God’s inclusive kingdom on earth. With the focus on intercultural and interpersonal reconciliation as the vision of church, the essay by Oliveto talks about hope for the dialectical tension of intercultural ministries among the margins and the centralists (142). Jesus’ mission is a move from the center to the margin, while the Samaritan’s mission is a move from the margin to the margin. The church must embody both models. Yet the latter is more common in our context where the church must move from the margin to the margins who are excluded in society. In reaching out to the marginal other who are different from us, crossing borders is imperative for the church to imitate Christ and the Samaritan who crossed the cultural borders. The incarnation is an act of border-crossing by which God steps out of Himself and cross the cross. Likewise, the Samaritan crosses the cultural line between himself and the unknown victim, while the Priest and Levi hesitate to cross the cultural border (Lk. 10: 25-37). Related to this, David Harshey shares his experience of both successes and failures in reaching out to the university students of different religious and ethnic backgrounds. The biggest challenge he faces is the secular form of university life and it is hard for him as a Christian minister to transform this. He suggests that the primary task of Christians is not to change their secular life, but simply to introduce them to Christ who would eventually transform them from within their inherent human value and culture. In sum, this book has a significant contribution to the ongoing question of how multiculturalism should be seen as both the challenge and opportunity for an intercultural church. I would suggest that the task of the church is to see diversity not as a dividing line of hostility between “us and them,” but as an identity marker of hospitality through which Christians of different cultures will come together to celebrate multiculturality as divine gift for glorifying God with different voices, yet one faith. This is what the aim of the book is all about. With the conviction that there is no Church without the Trinity, I wish the contributors should have included a theological issue of the Trinity (“three in one” and “three and one”) as the framework for creating a trinitarian nature of the intercultural church with many gifts, yet one faith. 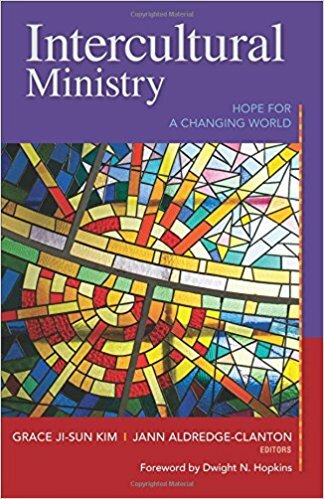 Despite few limitations, we must be so thankful to Kim, Clanton and all the contributors for the blessings of the insightful articles and the different pastoral experiences they share with us as points of departure for developing the mission of intercultural churches and ministries in our pluralistic world.